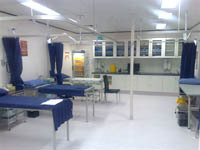 The complete refit and reconstruction of a Medical Centre and new office extensions for North and West Queensland Primary Health Care, Located in Normanton Queensland. Consisting of New car parks, Treatment rooms, Amenities, Pharmacy, New Reception, Waiting Rooms, Store Rooms and Staff Facilities. Requiring a major Structural refit, including a completely new roof, internal and external structural framing, and Façade upgrade. This project consists of many challenges; the main one being is isolation! Construction of a New Kindergarten for the Pacific Lutheran College at Currimundi. This project requires major Earthworks to establish a firm Building Platform for the new Kindergarten to be built. The new Kindergarten is to be constructed from a conventional Slab on Ground with Timber Frames and Trusses; the external is lined with Compressed FC and Colorbond sheeting. 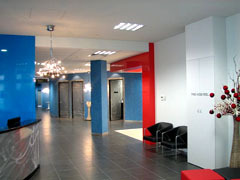 Internally the Building with be fitted out to include Activity Rooms, Lounge, Foyer, Kitchen, Computer Bays, Offices, Interview Rooms, Disabled WC, Cleaners and Laundry, Amenities and store rooms. External there is a major focus on the Landscaping, it is to be fitted with a large amount of interactive play equipment, Softfall, Swings and Slides, all the things that keep children amused. Construction of a New Library within the hub of a very busy school, the new Library includes Board rooms, Meeting room, new computer and IT rooms, workroom, ammenities, tuckshop and reception. 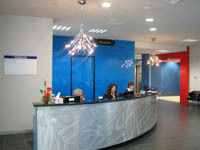 Its design is different from the rest of the school making it standout as the centre focal point of this school. It boasts very large open verandah, and also includes a new bus stop and tiered seating area for the children to safely sit and await pickup from school. Stage 8 Building the Education Revolution, Construction of a New 2 Storey Library. Incorporating New amenities, Offices, Green Rooms, AV Rooms, Resource area, Stacks, Reading areas, Staff room, Meeting Rooms and 6 x GLA Classrooms, Complete New Switchboard and Transformer to service the entire School and Future Buildings. This project is currently being constructed within the Middle of the School Grounds, once again under the watch full eye of both the Client and the Architect. Definitely our most exciting Project to date! 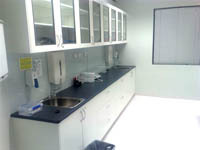 Extension and addition of a science withdrawal room, Fitout of existing building for new science labs, Renovation of Existing science lab and the addition of a Preparation area for chemicals. 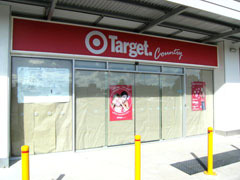 Fit out for a new Target Country store in Kingaroy, approx 2000m2. Fit out works were undertaken within an existing building, additional toilets were added along with reserve and secure reserve loading areas ready for Target to move in. With 2000m2 of new suspended ceiling, alterations to Mechanical Ductwork and the Upgrade and Installation of a new Electrical Sub Board, Supply and Installation of Lighting to suit Racking Layouts. This project was brought in well under the Clients budget and was delivered ahead of schedule on an extremely tight time frame! Design and Construct of a 2 storey Residence in Burnside. 3 Bedroom plus open study, 2 Pak kitchen and Stainless appliances. 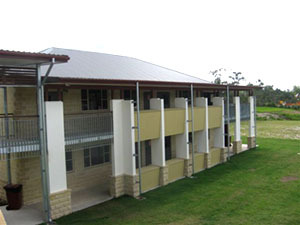 Construction of a 2 Storey Building with 5 independent classrooms, this building was constructed from Block work and suspended concrete with a full outer skin of Split face masonry, built under the watchful eye of both the client and the Architect within the middle of a busy school ground. 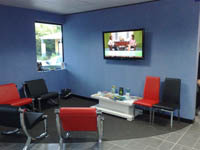 Delivered on time and with complete customer satisfaction, this project was one of our most enjoyable to date! Alterations and additions to an existing chapel, Fit out works with the addition of a new Altar, Ambo, Dias, Plasma Television and Polished Timber Doors.